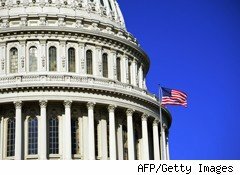 Networks broadcasting midterm election results attracted 11% more viewers than they did during the 2006 elections, and about a third more than the 2002 midterms, indicating the heightened level political interest among Americans concerned about House and Senate races, Nielsen reported Friday. About 35 million viewers tuned in to ABC, CBS, NBC, Fox, Univision, Fox News, CNN and MSNBC for election news on Nov. 2, Nielsen said. In 2006, those stations, excluding Univision, attracted about 31.4 million viewers. More viewers tuned in to watch as Republicans took 58 seats to gain control in the House of Representatives while Democrats barely held on to their Senate majority. Citizens on both sides of the political divide are concerned about how their parties will approach issues such as tax-cut extensions, health care reform, economic stimulus and job creation. By comparison, in 2002, about 26.3 million viewers watched midterm election results on network television.